You’re invited to remain a member of our SAFM family and get continuous support while serving your clients and patients. to confidently use what you learned in your semester (or between semesters)? 24/7 Access to The Wildly Successful Forum. This is our secret Q&A Facebook Forum. 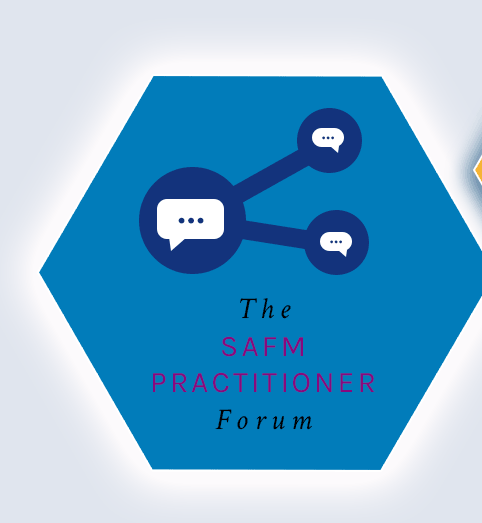 SAFM practitioners and students from all levels and backgrounds have the freedom to interact and share ideas with their peers on everything from business building to program fees and lab work confusion to supplement recommendations. This is not “just another Facebook page.” It’s a professional, no-fluff, high-impact exchange platform for global sharing on the nitty-gritty detail of functional medicine implementation. Everyone in SAFM has the opportunity – and is encouraged – to ask for support as well as share their insight and experience. Tracy Harrison and our team of forum mentors are also available to share expertise and stimulate valuable exchanges on key topics. 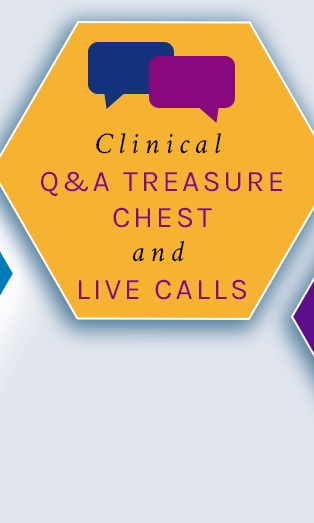 Access to our extensive and searchable Clinical Q&A Treasure Chest database. Our detailed posts cover a wide variety of illnesses, symptoms, medications, supplements, and clinical references. Here’s a treasure trove of information, which you can use to stretch and grow by learning from others’ patient experiences and inquiries. Get the exact clinical know-how you need right now, so you can create dramatic improvement for your clients – and benefit from an overflowing practice you love. Tracy regularly chooses student Forum posts on topics of broad interest to research and develop these more in-depth responses. As we all well know from Tracy (by now), Repetition breeds Retention! So we will also include you in the ongoing All-Semesters Open Coaching Calls while you are in the Practitioner Incubator. Knowledge (and confidence) atrophy when we don’t have the opportunity to use, reinforce, and hone what we’ve learned. These calls and case studies will keep you on your toes and building your knowledge and toolbox. They are LIVE, unscripted Peer Coaching Calls. Each call will feature a live interaction between Tracy and one of your peers to support them with detailed recommendations on a specific patient or client from his or her practice. These calls are also an opportunity to ask any questions you have about supporting your clients or building your practice.... nutrients, labwork, supplements, interconnected dynamics in the body. A chance to get some immediate, practical value for your clients and also learn from your peers’ questions. 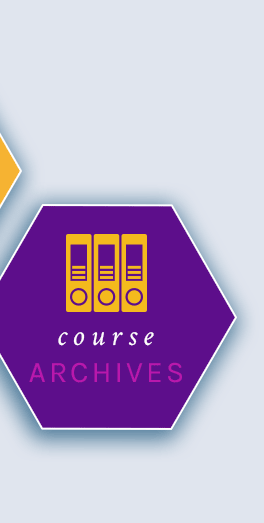 Unlimited access to any of your prior course materials, including streaming videos, downloadable audios, handouts, puzzle piecing case studies, and ongoing, course-specific Q&A feedback directly from The SAFM Team. *Please note: Only prior and current SAFM™ Semester students are eligible for the Practitioner Incubator program.